Evaluation in the Planning Process investigates how plan evaluation is integrated within the decision-making process in urban and regional planning in the United Kingdom. It also offers effective ways of formulating objectives and designing alternative proposals within the processes of decision-making in planning. Part I discusses the principles of evaluation and its role in the planning process. Part II examines recent UK studies in the use of evaluation in urban and regional planning problems. Part III summarizes the main findings and offers recommendations on how plan evaluation should be carried out in future plan-making processes. 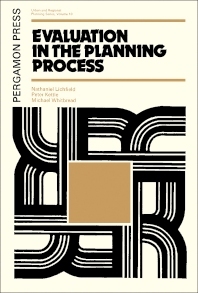 This book is helpful for those who are involved in decision-making processes on urban and regional planning problems.